More than 1,000 jobs coming to KCK with new Amazon distribution facility – Welcome to Wyandotte Daily! More than 1,000 jobs are expected to come to Kansas City, Kan., when a new Amazon distribution facility opens, according to officials at a groundbreaking today. The site for the new facility is on the Turner Diagonal in Kansas City, Kan., at 6925 Riverview Ave., close to I-70. There is an exit very close to the new facility location. 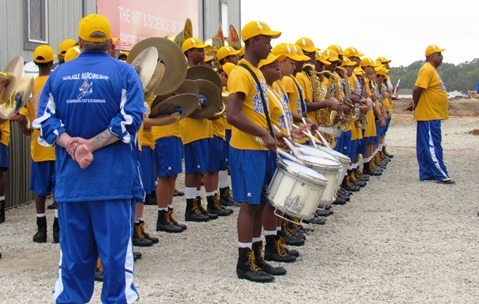 The groundbreaking was held with the accompaniment of the Schlagle High School band and dancing-cheer squad, with thunder heard in the distance. “Kansas is a state of innovation,” Gov. 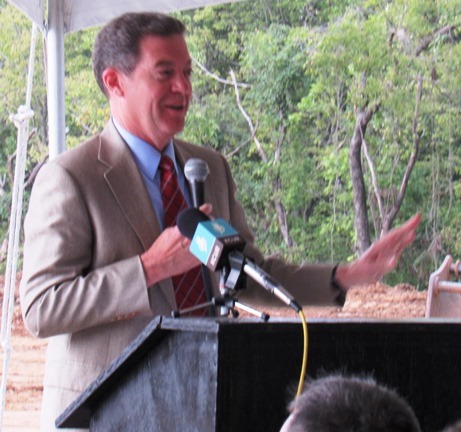 Sam Brownback said today, “and Amazon is a company that does that innovation.” The new distribution facility is expected to include many innovative features. “I look forward to really seeing these innovative concepts being delivered to people,” Gov. Brownback said. He said he was very excited about the new development, which will be on the cutting edge of the industry. 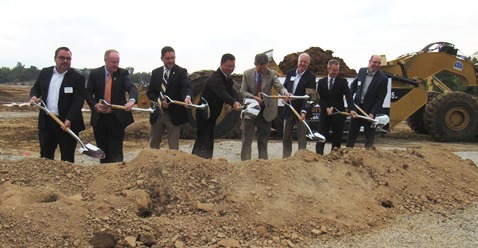 Kansas City, Kan., Mayor Mark Holland said this development project had been in the works for three years, and he gave Greg Kindle of Wyandotte Economic Development Council a lot of the credit. All of the local school districts are looking forward to the new jobs opening with hopes that some of their graduates may work there, he said. The project is big, Mayor Holland said, not just because Amazon will become the fourth largest employer in Kansas City, Kan., but also because it provides a path to jobs and to advancement. The site, in the Turner School District, is less than six miles from 75 percent of the population of the city and it also is a mile from the bus line. It is also within about two miles from Kansas City Kansas Community College. The mayor said Amazon also provides a path for people to better themselves through programs, education and promotions, and there will be opportunity for employees to work on their associate degrees. 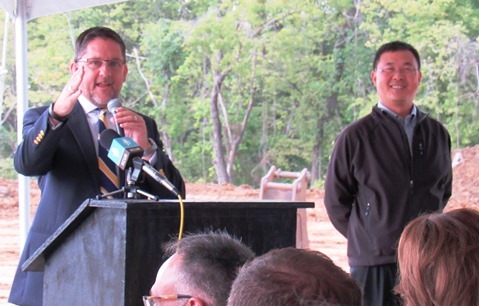 Gary Guo, Amazon vice president, said the new facility will be about 855,000 square feet, with nearly 2.5 million square feet of space expected when it is completed. It is on 190 acres. The facility will include Amazon robotic technology, the Amazon vice president said. Smaller size items including books, electronic devices and home care items, will be packed at this facility, according to the Amazon vice president. The facility is expected to be open by the holiday shopping peak in 2017, he said. 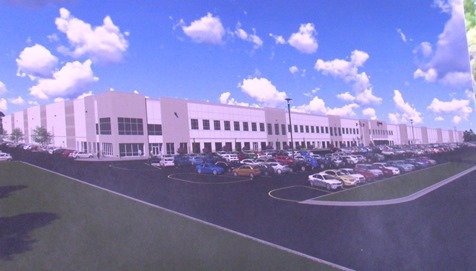 The new Amazon distribution facility in Kansas City, Kan., in an architect’s rendering.